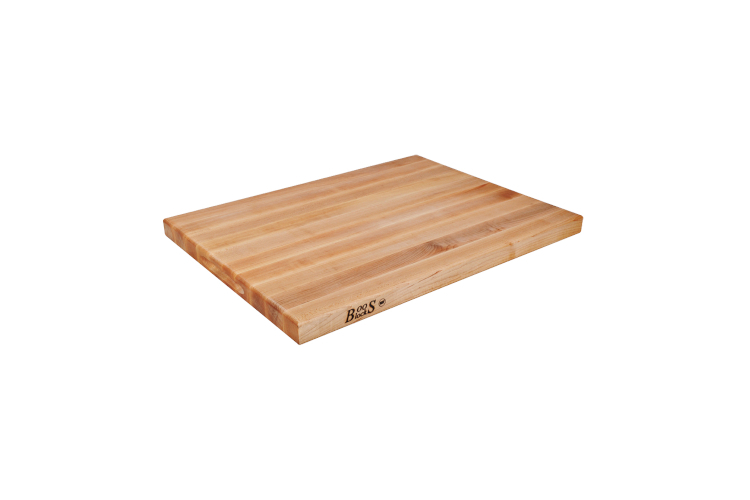 This large John Boos board measures 24"x18"x1.5" and is a professional quality, reversible cutting board with hand grips. It has a hard maple edge grain construction and natural oil finish. For over 100 years John Boos and Company has been making butcher blocks out of high quality woods like sycamore and maple. Initially these were sold to restaurants, food stores and butchers' shops but now their products are available to the home user too. Over the years John Boos has expanded their products range into a wider range of materials products. Today they make cutting boards, work surfaces and kitchen furniture, have the reputation of being the best in their field and are a staple in many kitchens.